I promised a vinyl related announcement earlier this week, so with no more delay here it is..... 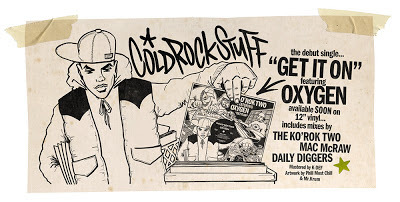 Available soon is the debut 12" single from UK hip hop duo COLD ROCK STUFF entitled "Get It On" and featuring Strong Island's hardest working emcee of the moment OXYGEN. The single includes 3 mixes (including our very own DAILY DIGGERS remix) and of course the all important instrumentals on the flip side. 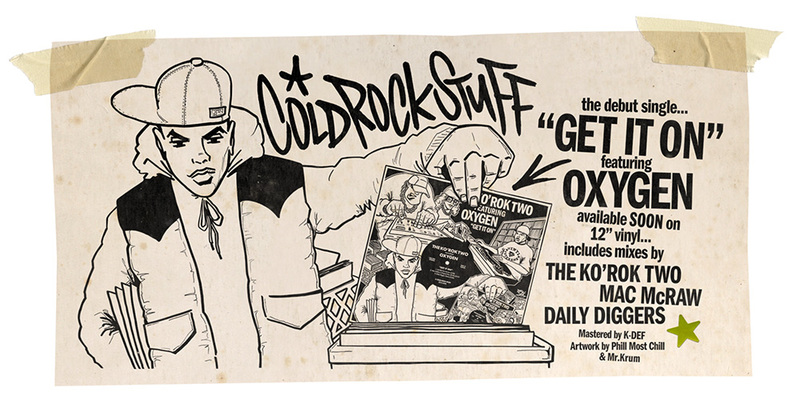 COLD ROCK STUFF, OXYGEN and ourselves the DAILY DIGGERS are all members of VINYL VETERANS DJ team, and this vinyl project has been cooking up for quite a while now and is hopefully the first of several releases on the COLD ROCK STUFF label. But, there is more - not only has the audio been mastered by the genius of the boards K-DEF out in New York City, but we also have sleeve artwork hand created by Philly's super talented all-rounder PHILL MOST CHILL (aka SOULMAN) and design by our very own MR KRUM (peep his website HERE for more of his dope cover art). Suffice to say I am super excited about this release - it's a good feeling to finally have a DAILY DIGGERS beat on wax, and especially to be working with people that I personally admire. The test presses are sounding real good and the vinyl is set to arrive towards the end of this month. 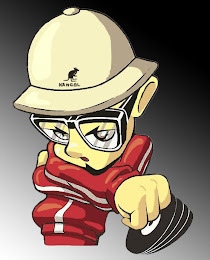 Keep your eyes on this site for more details and of course for those all important sound clips. If you've been a regular here at DAILY DIGGERS HQ over the last 6 or so years then no doubt you will be eager to scoop up a copy before they sell out like hot cakes. I thank you for your support in advance. I just know you gonna dig this...! Congratulations Dyno! Can't wait to hear it! I heard Oxygen on that Spinna 7" joint with Sadat X, Kurious and Diamond D and he more than held his own, which is no small feat considering who he was rapping with! 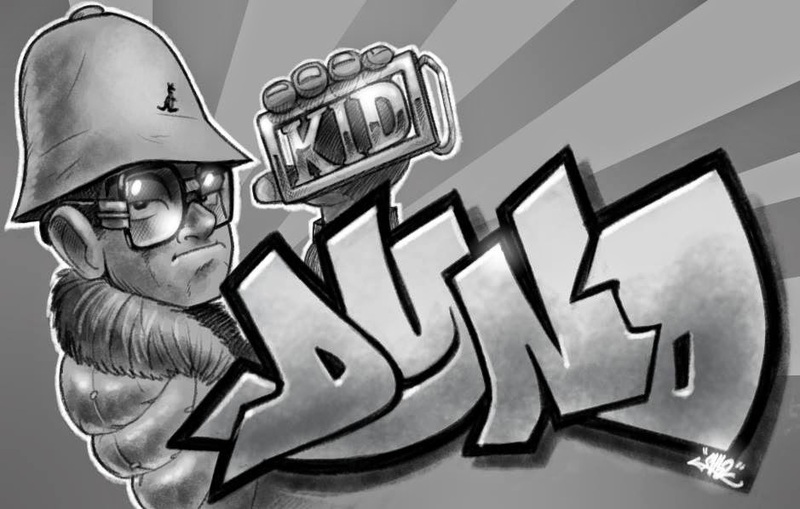 Very cool cover art by the Soulman also. Looking very, very tasty! Yeah congrats Dyno! where can one get a quick soundbite, record looks funky fresh.